We like big punts and we cannot lie!…and college football season is upon us. Every school has long-standing traditions full of history on and off the field….from the Tiger Walk to tp’ing Toomer’s Corner and their Waaaaarrrrr Eagle! chant. The Auburn Tigers atmosphere come Saturday’s is unlike any other. 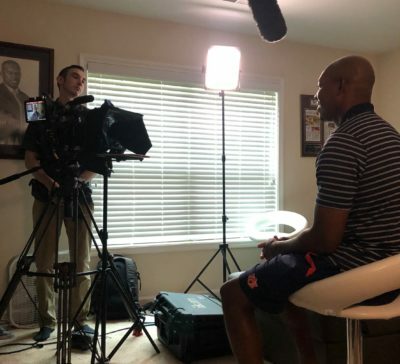 Former NFL player and Auburn alumni Carlos Rogers sat down with CBS Sports and Go To Team’s Atlanta DP Nate Silverman to talk about his favorite college tradition for Dr. Pepper’s College Football Traditions. Set up in Carlos Roger’s man cave? OK! We had to set up a background that screamed Auburn football. 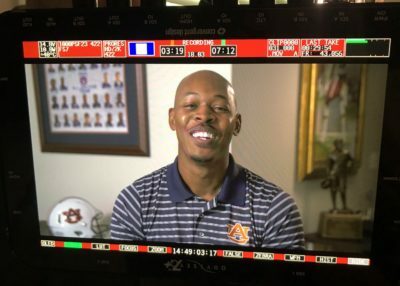 So behind him, we put an Auburn helmet, hanging on the wall was a painted portrait, his all-decade team photo and who could forget his Jim Thorpe Award for the top defensive back. After playing art director was done, our crew set up a Sony F5 with a 24-70 Canon L-Series lens. A Sony a7s mkii was used as a b-cam to get his profile. We lit Carlos with Generay bi-color light panels, one off to the left to key, and one behind him to provide an edge light. 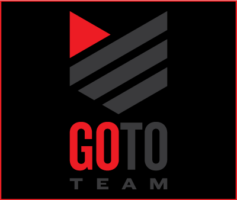 Another light panel was on a gobo arm swung over his Jim Thorpe Award, to provide nice trophy lighting and to make it stand out from a background. We interviewed Carlos about what it meant to him to play in the orange and blue every Saturday. 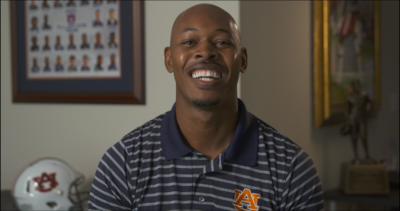 Catch the full interview on Auburn.247sports.com!